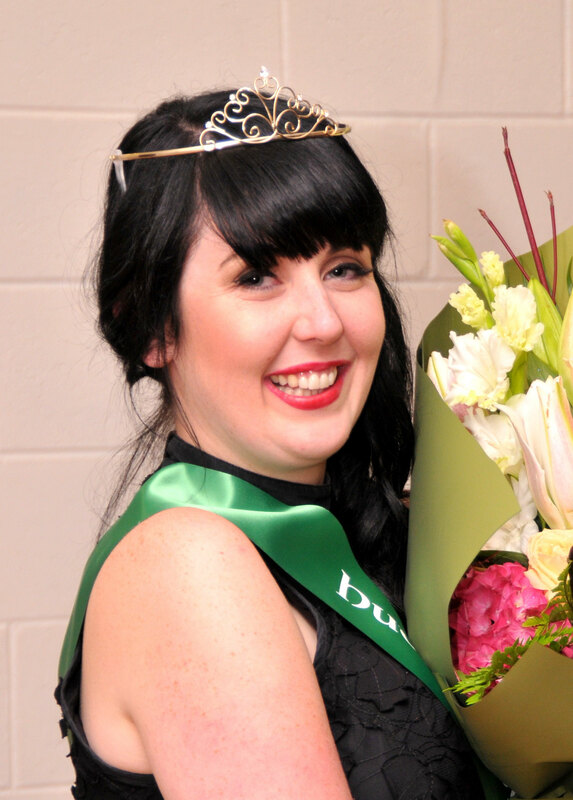 The young women of Irish birth or descent listed below were the Roses who sought the honour of being the New Zealand Rose of Tralee, to succeed Ailbhe Ryan, the 2011 New Zealand Rose of Tralee. Siobhan was born in 1989 in New Zealand. Her father was born in Connemara, Co Galway and her mother in London, England. Currently she is completing her studies for Speech and Drama Teaching, while working as a Production Coordinator for TV3 & Four. She enjoys watching documentaries and reading, as well as reciting poetry and performing on both stage and screen. Siobhan is also involved as a volunteer at Starship Hospital where she works for their onsite radio station, Radio Lollipop. Her sporting involvement is restricted to spectating, but she does enjoy walking, saying it is "the best way to clear my head." she has, however, set herself the goal of trying more extreme activities; first up is paintballing, and culminating in bungy jumping. 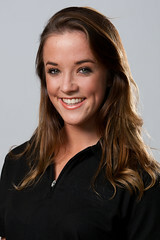 Siobhan’s Irish heritage is through her Irish-born father, who's parents lived their lives in Connemara in Co Galway, and her mother's family who came from Dublin and before that Cobh in Co Cork. Siobhan wants to study journalism, and use that grounding in documentary making and working overseas. She also plans to teach speech and drama, in due course opening her own practice. And she would like to travel more, especially to Ireland! Natalie was born in 1988 in New Zealand. Her father was born in South Africa and her mother in Sri Lanka. Currently she is a student at Waikato University, completing a Secondary High School Conjoint degree with a Bachelor of Arts, majoring in Theatre Studies. 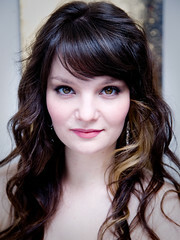 She is involved in dance and theatre, and is currently choreographing a production of The Wizard of Oz. She has also been doing short films, extra work and have also been involved in plays with The Carving in Ice Theatre Company. Natalie is also a keen traveller, and has travelled and lived in Europe, and visited China, South Korea and South Africa. She runs her own modelling and Promotions Company, providing models for events, fashion shows and photo shoots and have recently added a dance group for events as well. And, when time permits, Natalie likes keeping fit and healthy, especially biking and walking with her family. Natalie’s Irish heritage is through her Great Grandparents who immigrated to South Africa from Wicklow, Ireland, after WWII. Natalie would love to continue to be able to run and grow her my business. A long term goal is to open a specialist performing arts school here in New Zealand And she would like to travel more! Alana was born in 1987 in New Zealand. Both Alana's parents were New Zealand-born, in New Plymouth and Hamilton. Her great great grandfather came from Forthill, Co Antrim, while her great great grandmother came from Ennis Co Clare. The family haver been in New Zealand since the early 1860s. Currently Alana is a Recreation and Events Administrator working for the New Plymouth District Council. She lists her leisure activities as travel, exercising (yoga, tramping, cycling), and reading. She has completed her first 24-hour adventure race, and completed this year's Oxfam Trailwalker fundraising event. Alana enjoys trying new things and challenging herself. When younger she played the violin and piano, and, later, the saxophone. Singing is a pastime best shared in a choir or the privacy of her own home. Alana wants to spend more time with family and friends, including with her sister who is presently in Japan. She also has a goal of having a positive attitude and being joyful, while still taking on new challenges and working hard at doing the best she can in all fields of endeavour. Catriona was born in 1985 in Co Westmeath, Ireland and came to New Zealand three years ago. Catriona's father comes from Westmeath, while her mother is from Co Offaly. Currently she is an Executive Assistant to a General Manager in Kiwi Rail. She lists a diverse range of interests and leisure activities - Gaelic Football, snowboarding, heleskiing, traveling and cooking. 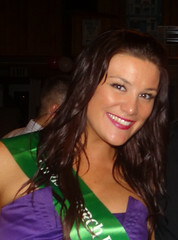 She also takes a keen interest in promoting "the uniqueness and beauty of the Irish" within both the New Zealand and the international contexts. She says she takes real pride in her Irish heritage. Catriona says that she plans to remain in the rail industry, continuing a family tradition which stretches back through four generations. She would also love to keep healthy and happy. Jessica was born in 1986 in New Zealand. Her grandmother's family came to New Zealand from Cashel in Co Tipperary. 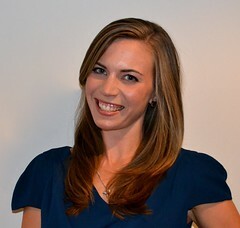 Currently Jessica is a Curriculum Manager for the ANZ, and Co-Director of Tre-Belle Music. She says that performing is her favorite thing to do, both with the NZ Opera Company and pop opera with Tre-Belle. She also loves her Pole fitness classes, hula-hooping, baking and cooking, especially for friends and family, watching a great movie, having a good laugh, and making crafty things. In addition to singing, Jessica also plays the piano, and has tried the tin whistle. Jessica says her personal goal is to be "happy and healthy", and she's convinced that being able to sing for a job will bring her that happiness life. 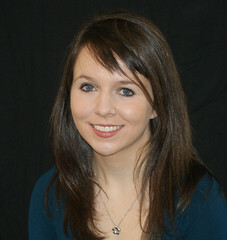 Patricia was born in 1986 in Co Leitrim, Ireland. While Trisha was born in Ireland, and her mother was born in Letterkenny, Co Donegal, her father was born in Toronto, Ontario, Canada. Currently she is a Customer Support Agent for Land Information NZ. She helped found a Youth Chamber of Commerce, and organized a community festival in her town before leaving for New Zealand. She was also a Community Games Manager and wrote a play for local kids. She also enjoys volunteering for community service projects. In addition to her organizing roles, Trisha is an avid GAA fan, with her brothers playing for their County, and father involved in coaching. Trisha herself played Gaelic Football for her County, and swam for her County in Community games, reaching All-Ireland Finals. Trisha says her goals and ambitions have been transformed since moving to New Zealand. Previously she says she was "motivated by business success". But after her experience of the recession in Ireland, and of the earthquakes in Christchurch, she says she is now "more interested in making a happy home with a huge loving family". Louise was born in 1988 in New Zealand. Various of her mother's family came from Co Armagh and Co Antrim, while some of her father's family came to New Zealand from Co Armagh. She also has a family connection with Tralee in Co Kerry. 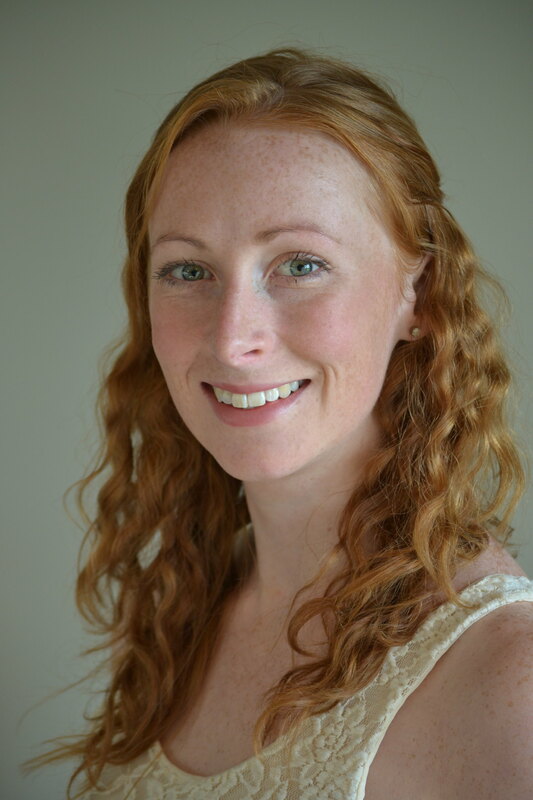 Currently Louise is completing a Post Graduate Certificate in Clinical Pharmacy Research. She list a wide range of interests: swimming, netball, reading, scuba diving, spending time with family and friends, dancing (including choreography and teaching), drama, skiing, photography, touch rugby. In addition to her studies, Louise is also a member of the NZ Territorial Force, specifically, the Medical Corp, and assisted with relief work after the Christchurch earthquakes. She says her personal goal is to "make a difference through my research and day-to-day activities", including international research and to help teach implement research findings into Professional Pharmacy Practice. She also wants to work for the World Health Organisation and to serve overseas with the NZ Army in aid work, using her fluency in another language. Grace was born in 1985. Both she and her parents were Irish-born. Her father comes from Co Rosscommon, while her mother is from Co Galway. Currently Grace is a Communications Officer working for the Southland District Council. She lists her leisure activities as speech and drama, writing, hiking, biking, badminton, skiing, public speaking and debating. 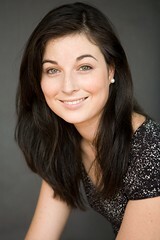 She has performed in (and was part of the winning performance) the NZ One Act Play Festival. She has gained representation honors in e-journalism and presented a program on a local community radio station in Ireland. When younger she played the piano, and has won an award for community and voluntary work. Grace says her personal goals and ambitions can be summarized as being to "lead a happy and healthy life - both personally and professionally."